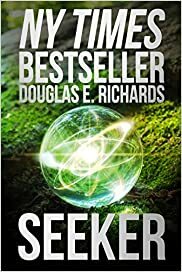 Douglas E. Richards is a science-fiction and time-travel author with popular books such as Wired, Split Second, and Time Frame under his belt, along with his latest standalone, Seeker. I’ve only recently started to follow this author, after reading his two books in the Split Second time-travel thriller series. 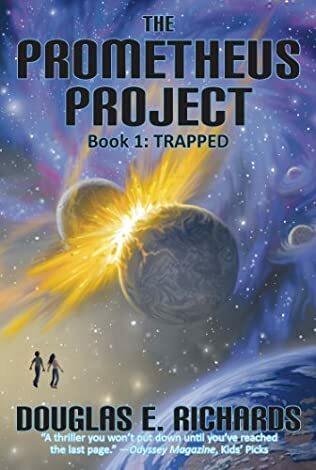 The author Douglas E Richards writes in an engaging way, and his plots are quite complex. So, following those two books, I’ve started reading his other novels for adults as well. He also wrote several books for children and young adult, but it will be a while before I catch up to those. 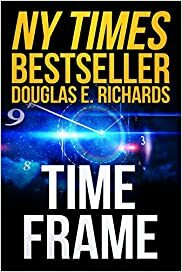 The Douglas E Richards books for adults are all sci-fi techno-thrillers set about a quarter of a century in the future. In his books, science and futuristic, transformative technologies are important ingredients. Often, his books deal with the ethical issue around playing God when technology advances offer one almost unlimited opportunities. Here are the Douglas E Richards books in order for his several series for adults and kids alike, and his standalone novels. Douglas E. Richards was born in 1962 Fort Benning, Georgia. However, he grew up in Cincinnati, Ohio with his sister, Pam, living with his parents. He attended Finneytown High School, following which he enrolled at the Ohio State University, graduating with a degree in microbiology. Next, he went to the University of Wisconsin for his master’s degree in molecular biology, and then a second master’s degree in business administration from the University of Chicago. He did try for a doctorate in genetic engineering and molecular biology, however, as he hated lab work, he ended up with the Master’s Degree instead. After school, he worked as a biotechnology executive, however, eventually he left the field to focus on writing books fulltime. During his research for his PhD, he worked with mutating viruses and observing the results at DNA level. Richards always loved to read and was influenced in his writing by Asimov and Crichton quite a lot. He loved reading Isaac Asimov as a child, and Chrichton’s techno-thrillers were a hit with him as well. He only started writing, however, in his twenties. 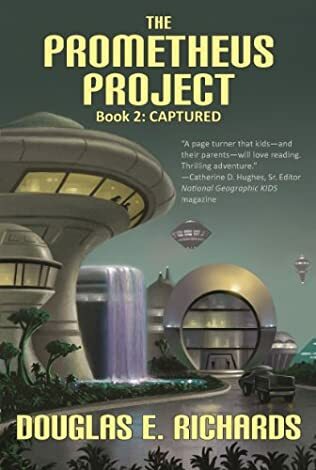 In 2005, he first wrote the first book in The Prometheus Project, a young-adult series for children ages 9-13, featuring an ultra-secret team of scientists that are exploring an ancient city full of advanced technology and science. Since the editors the National Geographic KIDS Magazine read the book and liked his way of distilling scientific information for kids, they asked him to write essays and other pieces for their magazine, which he did, totaling over 13 pieces for them over the years. 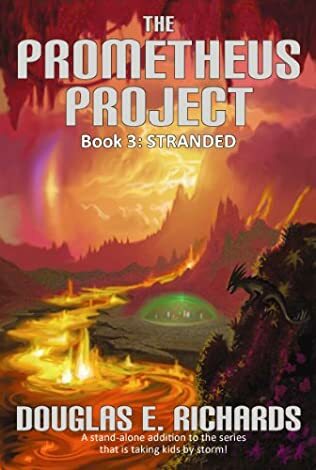 Still, since the Prometheus Project series never really took off in sales, the author went back to working as a biotechnology executive, right until Wired got him the breakthrough. 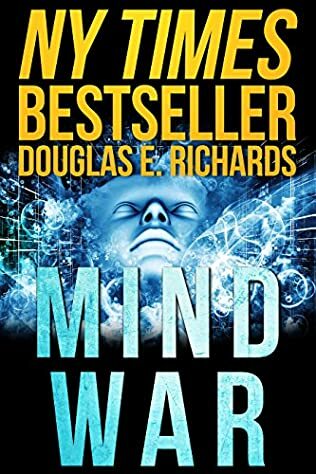 Wired by Douglas E. Richards was the book that really set him on his current course. While researching about the amazing abilities of the brain, he started musing on its true potential. This is when he got the idea to write Wired, which would become the author’s first adult novel. That was back in 2009, but he shelved it for several years before ebooks became a thing. In 2011, when he saw the rise of eBooks by indie publishers, he took his Wired manuscript off the shelf and uploaded it to Amazon in the Kindle format. The book became an instant success. This is what prompted him to finally never look back at his day job and know that he could very well become an established Indie author since he was already earning enough from Wired to support himself. So he started writing more and more techno-thrillers, many for adults, but also several for young adults. 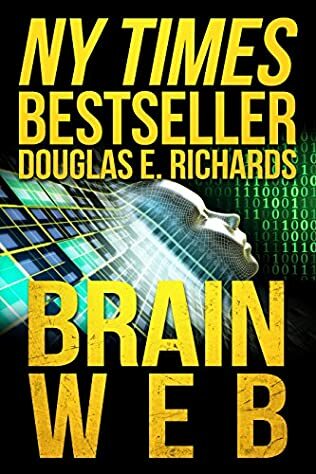 Although Douglas E. Richard has written so far almost 20 books, most readers rate two books as being some of his best: Wired, and Split Second (I agree with Split Second, it is my favorite novel by this author). Split Second is the first Douglas E Richards book on time travel. After the author reading countless fiction and non-fiction books on the topic, he found his unique twist on the genre and applied it to his book. Since time travel is one subject that many people are constantly interested in, the book became an instant hit. Amazon had it for almost 4 months in its 100 top books. In addition to books. Douglas E. Richards also wrote non-fiction science-based pieces for BBC, Earth & Sky, and others. The author Douglas E. Richards is currently living in San Diego, California with his wife, kids and his two dogs. He is working now on his next book, and in his spare time, he reads mostly non-fiction books on nanotech, physics, cosmology, ethics, philosophy, and religion. Often, he includes information and knowledge he gathered from his readings in his books.